You're all too aware that if you indulge too often in those cakes, pies, and other sweets, you can expect some extra pounds to show up on the scale. Turns out you may also expect a few more wrinkles to show up on your skin. It’s true! 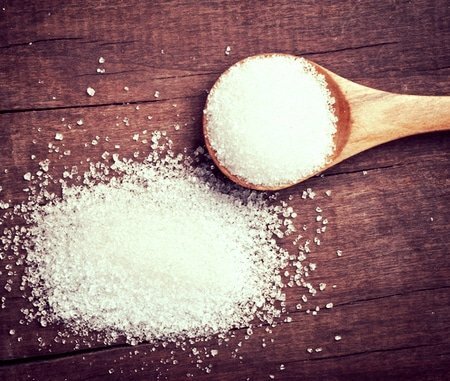 Researchers have found over the years that excess sugar in the bloodstream can encourage a process called “glycation,” which in turn, ages the skin. We have the scoop on glycation, and what you can do to keep your skin looking young without always having to deprive yourself. A 2003 study also noted that AGEs formed “crosslinks” between proteins, changing their structure and function so much that they caused things like retinopathy, nerve pain, atherosclerosis, and more. Fortunately, there’s a lot that we can do! Here are ten tips to help you keep your skin looking smooth and glowing even as you get older. Very informative article! On a whim I had a psychic reading from Caribbean Psychics. A woman named Marlene told me about glycation and my health. Looks like she was right. This is a really great article! I gave up on processed and cane sugars about five years ago and I am never going back! Though I do still have occasional pimples and clogged pores, it really is a night and day difference compared to the constant breakouts I experienced before. One thing I’d like to note is that the nutritionist who I’ve been working with for the past year highly recommends getting at least twenty minutes of sun a day without sunscreen. Obviously the main purpose of this is to increase vitamin D levels. In her opinion typical sunscreen products are not only usually harmful, but also unnecessary. Instead she recommends you eat butter before going outside, this naturally brings the calcium in your skin to the surface, which not only helps protect your skin from UV damage but the amino acids that this healthy fat converts into once consumed will also help you absorb Vitamin D.
I must thank you for a good article, also. I am 61, quite fit and strong, work physicaly hard and use my brain offshore electrical. I do smoke. I drink, not continuously, but i have big nights out dancing when i do. I have had a brown spot on my hand for a while now. I listen to the Ted Broer show and pick up some great tips from him. This is how i came to look up AGE. I don’t take sugar, or eat GMOs knowingly. My food options offshore are limited. The chicken for the UAE comes from Ecuador, the Egyptians are furious. Think about that: how it can be profitable to send chicken from South America….. I live in Indonesia so have become a great fan of Jamu. Daily i drink Turmeric and Ginger, and other roots, bark, and leaves, and berries that come in a big bag – yes, i am a bit of a nut, but there is something about jamu that i firmly believe in. I work in the Middle East and India and have become a great fan of ayurveda, also. There ayurveda toothpastes (and powder – strongly recommended) , soaps, and plenty of other products. But, it is also a way of living. Eat only when you are hungry…. for example. I eat twice per day, morn8ng and evening, big meals. for such things as ‘tags’. Will changing my diet to a low Glycemic one remove brown spots or only lower the risk of getting more? I have just started studying the Ph chart, i had better get into the Glycemic chart, also. I have rambled about different subjects within this subject. I hope some of it was thought inspiring.